Are stainless steel appliances appropriate for midcentury houses, if you want to do a relatively authentic remodel? This question comes up fairly often on the blog, and the answer is: Yes. 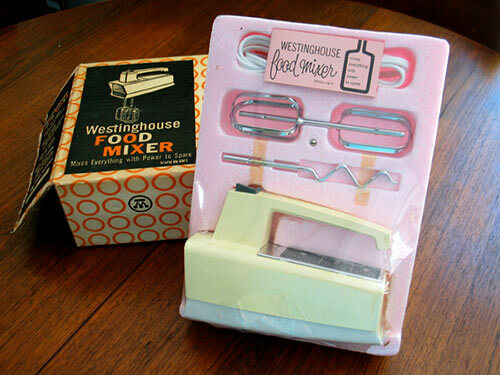 My research indicates that stainless steel — or UPDATED per reader comments: maybe it was brushed chrome — was used on midcentury appliances. Brushed chrome: I’ll declare that “close enough.” Even with that: There are further qualifications, because there some places where we did not see these materials used. Revco appliances — refrigerator / freezer combination … built-in ovens … range-top cooking. See more vintage Revco here. As best I can tell from 15 years of studying photos of midcentury kitchens, stainless steel and/or brushed chrome was used on: Built-in ovens, expensive built-in or counter-depth refrigerators, dishwashers, kitchen sinks, range hoods, countertops, counter edging, and various small built-in appliances. Above: Time capsule kitchen with St. Charles cabinets from this story. These finishes were not commonly used on the sides of free-standing ranges — although they do pop up now and then as in Sarah’s 1956 Hotpoint stainless steel or is it brushed chrome range above. I have never seen them as a finish on steel kitchen cabinets. 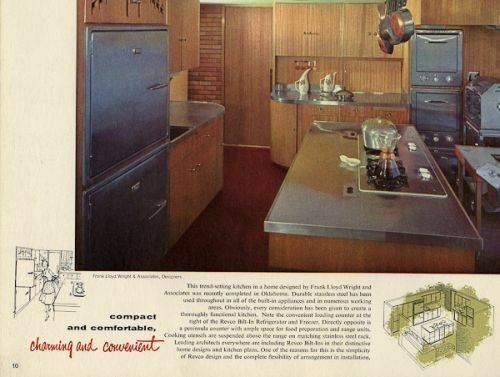 Wood-Mode showed a lot of stainless steel appliances — note the dishwasher — in their 1961 cabinet brochure. What a nice kitchen design! 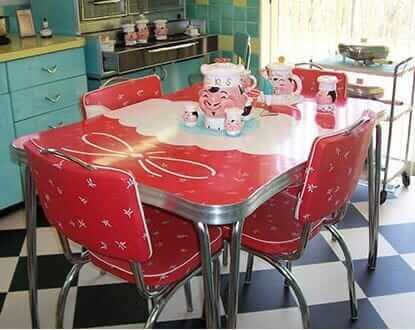 See more photos from 1961 here. Today, stainless steel appliances are so popular that they are likely the easiest solution if you need new appliances. White appliances also are available fairly widely. Pastels: Niche market, only a few suppliers. 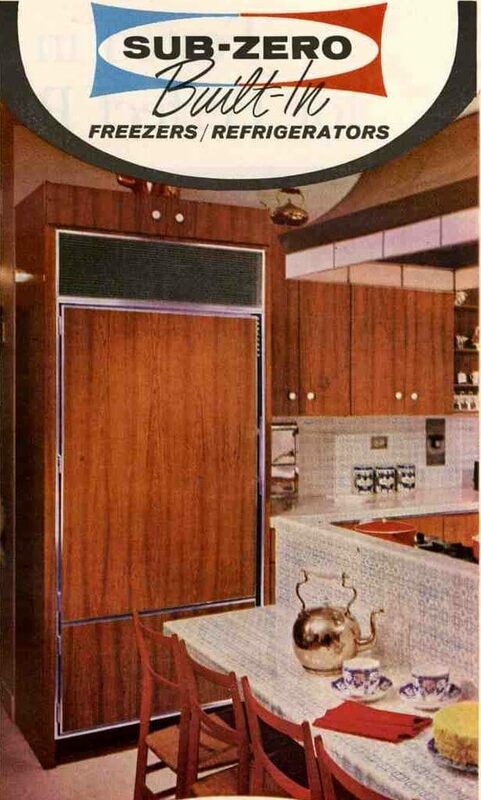 You can still get Sub-Zero refrigerators that look like this one from 1966! Be careful about sizing your appliances — so many of today’s refrigerators are behemoths. Try to make sure your refrigerator is “scaled” to the size or your kitchen. If you can swing it, look for counter-depth. And if you can really swing it, consider Sub-Zero. They make counter-depth refrigerators with stainless steel fronts in a variety of sizes and door configurations, and you can get handles and exhaust grilles just like they’ve been making for many decades. Sub Zeros are pricey, though. Go for a built-in oven(s) with range-top burners [rather than a freestanding range with the oven on the bottom]. But, if your existing kitchen layout has the space carved out for a free-standing range and you are not reconfiguring your cabinets, don’t sweat it. 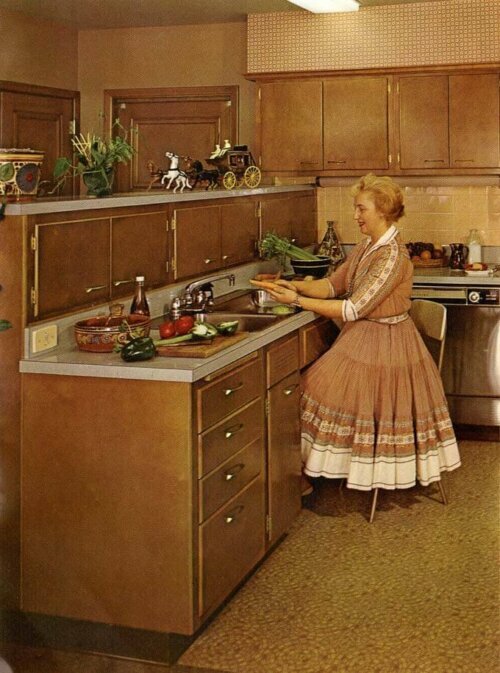 Yes: Stainless steel appliances were used in vintage kitchens. For all of our research on Kitchen Appliances, see our Kitchen Help / Appliances and Accessories subcategory here. 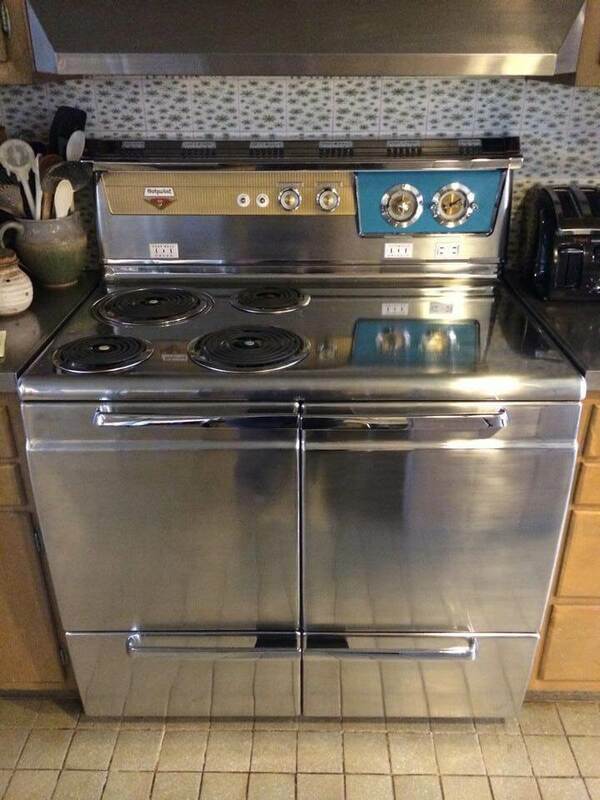 My parent’s house, built in 1956, had a stainless wall oven, stainless electric cooktop, and a stainless sink. They did not have a dishwasher at that time and the refrigerator was not stainless. It was still in good shape when they sold the house in the 80s. Eichler homes almost all had stainless steel Thermador ovens and cooktops. I have vintage Thermador (1960) top of the line bi level built in ovens and a six burner drop in cook top. Stainless is like new after 57 years, but some functionality with wall ovens and cook top need work. Parts very hard to find, if at all. I have the 1960 brochure with model #s and specifications, but need guidance for someone or some company than can do the restoration if I can locate parts I need. 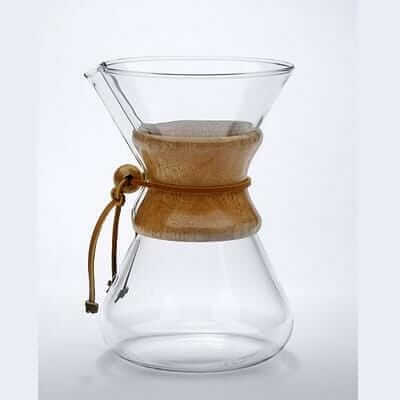 See our research in Kitchen Help/Appliances and Accessories subcategory. I believe the main stories on this type of issue are right at the top. My kitchen has the 1955 Frigidaire Foldup burners. Those were stainless and were an accompaniment to the Stainless french door oven. You could get two ovens in one space with the adjustable bake oven element that plugged into the back center of the oven. 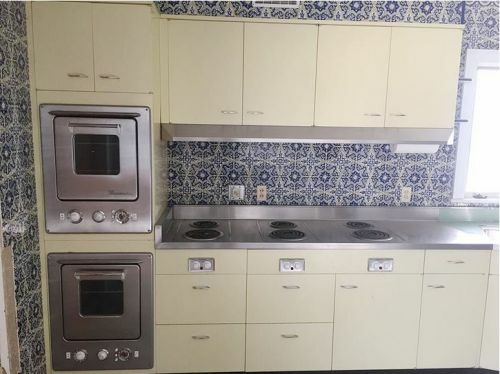 It was called the ‘Wonder Oven” and was also a feature on their 40 inch range. Sadly I didn’t have room for the french-door oven so I installed a pink GE 1955 wall oven under the counter.